To work at St Christopher’s School is to work as part of a multinational team of over 360 staff who support the learning of our talented and ambitious students. We offer challenging and rewarding roles to candidates who are committed to the highest professional standards, whether as a teacher or as a member of our large support staff team. 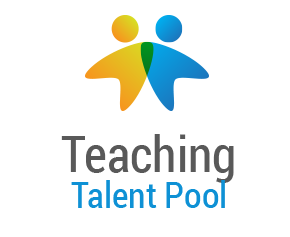 Would you like to teach wonderful, highly motivated, high achieving students? Do you want to teach rather than control? Would you like to be part of a hard-working, highly professional team? Do you value supportive parents? Would you like to be able to access world-class CPD training? Do you want a high standard of living and a lifestyle that offers a wide range of opportunities? Would you like an excellent salary and comprehensive benefits? Sound like you? Then apply now to join our excellent and dedicated team at St Christopher’s. 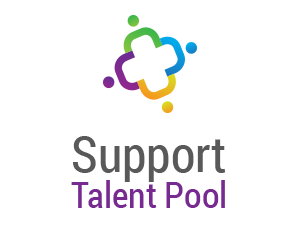 If nothing happens when you click on the talent pool, please hover over and copy the email address displayed in the bottom left of your web browser. You can then paste this into a new email message. From its modest beginnings in a villa in 1961, St Christopher’s has grown into a large, internationally renowned, non-profit making school with over 2200 pupils from more around seventy nations. These children and young people, from three to eighteen years of age, benefit from the excellence, dedication and hard work of our teachers and support staff who form a team dedicated to the creation and maintenance of an environment in which each pupil learns effectively. St Christopher’s is a wonderful place to work and if you join us, you will find excellent students and truly excellent staff. In addition, St Christopher’s is a highly successful school, firmly established in the British tradition, yet with an international outlook. This is not simply our view: we have been inspected under three different inspection regimes, the most recent being the British Schools Overseas regulations (recognised by the UK Department for Education) as equivalent to those used to inspect independent schools in England. In all of these we received a rating of “Outstanding” - not only as an overall judgement but for every aspect of performance as well! Having been recently appointed as the new Principal, St Christopher's is undertaking a comprehensive review of its operations and curriculum. There are many opportunities for professional development within a structured and supportive environment as we look to build on a well established and internationally recognised school. Our standing as a prominent overseas British school is further indicated by our acceptance into membership of HMC (the organisation of which the leading UK independent schools are members) and the similar organisation for junior / prep schools, IAPS. The leadership of St Christopher's School has a highly positive impact on all areas of the School ensuring that all staff have a clear understanding of its present and future priorities and ensure these are monitored and developed. Teaching is of a high standard throughout the school and the dedication of all teachers is reflected in the academic and personal achievements of all pupils. Teams of specialist teachers have a positive impact on the quality and range of learning opportunities. Classroom assistants are used effectively to maximise their impact on pupils’ learning and progress. Outside of the teaching aspects of your life you will find that the overall employment package is excellent. It is vital when comparing packages to look carefully at all aspects. Some schools provide only shared accommodation – here everybody has their own rent-free, 2-bed (minimum), furnished, air conditioned accommodation. We provide a medical insurance scheme for the employed teacher and all dependents that live with him or her in Bahrain. Salary is paid tax-free and we also pay an end-of-service gratuity of one month’s salary per year of service. In some other countries, it is a few years before gratuity reaches this level. The final monthly salary is used to calculate gratuity. Travel back to your home will be provided annually (even in the middle of the first two-year contract) – and we give an actual allowance rather than (as is the case in many places) a restrictive ticket. The allowance is given for the employee and all dependents resident in Bahrain and allows total flexibility as to where to travel or, indeed, whether to travel at all! On appointment, you will receive a generous allowance with which to ship your belongings to Bahrain. The school can recommend a shipping company but you are free to make your own choice. Allowances are based on family size to take into account spouses and children. Day-to-day life is diverse, shopping is excellent, cars are cheaper here than in England and petrol is inexpensive. There are opportunities to be involved in musical and cultural activities in the community and sporting opportunities are extensive. What kind of school is St Christopher's? Those of you who have worked overseas previously will almost certainly have heard about our school. It is acknowledged on the international circuit as an excellent school and many overseas teachers have ambitions to join us. Other schools, when recruiting staff, regard St Christopher's experience as evidence that a teacher has been working in a professional environment where the highest standards are expected. It has become clear that having St Christopher's School on ones CV is likely to lead to being short-listed for other prestigious schools around the world. We have also found that many independent schools in England are well aware of us and have been very complimentary indeed about how advanced our students are and what fine young people they have become during their time with us. The educational experiences and quality offered by St Christopher's School are comparable with those found in the best independent schools in the UK. It is however less selective than most. Value-added is excellent at all levels and teachers are equally concerned to develop the ‘whole child’. We have two sites; at Saar and Isa Town. In January 2007 a new Infant School opened alongside the Junior School at Saar and the Senior School continues to be based at Isa Town, although we are currently searching for a suitable plot of land on which to build a new Senior School with state-of-the-art academic, drama, music and sporting facilities. INFANT SCHOOL, SAAR: Nursery, Reception, Years 1 and 2 - approximately 570 students. JUNIOR SCHOOL, SAAR: Years 3 to 6 - approximately 590 students. SENIOR SCHOOL, ISA TOWN: Years 7 to 13 - approximately 1090 students (285 in Sixth Form and growing). Our students are mainly from the expatriate English-speaking community. They are more motivated than is common in maintained schools in the UK and new teachers usually comment on this very positively. Teachers at St Christopher’s find that they are able to do what they came into the profession to do: TEACH; rather than control! Children and young people from around 70 nationalities attend the Schools with about 40% British students. Parents are very supportive of their children’s education. The School is governed by a Board of Governors who work on a voluntary basis and give generously of their time and considerable expertise. The Board consists of between five and eight Governors nominated by the Founder Companies. Other members consist of elected Parent-Governors, the Dean of St Christopher’s Cathedral, one member nominated by the Bahrain Ministry of Education and up to two co-opted members. Their main areas of involvement are to do with long-term policy and the direction of the School. The Board also sets annual budgets, tuition fees and remuneration for employees and receives reports on a wide range of matters from the Principal and Headteachers. The management of the School is delegated to the Principal who is directly accountable to the Board. There is a joint FOSC (Friends of St Christopher's) association for the Schools, although individual functions are sometimes arranged. Every effort is made to maintain and extend good relations between the School and the community it serves. This follows most of the usual aspects of the English National Curriculum at its own pace and with certain sensible modifications. Headteachers will be able to advise new staff on specific curricular and schemes of work. In addition, Arabic and Islamic religious education is provided for Arab and Muslim children respectively and the School also delivers a non-native Arabic programme from Year 1 to Year 6, with a time allocation of 2 hours per week introduced in 2014-15. In the Senior School, there is an option to continue this learning before school. Classes are generally limited to 24 pupils in the Primary Schools and 22 in the Senior School (although occasionally in KS3 numbers might reach 24) and the emphasis is on individual teaching. There is no streaming, although setting is a feature in the Senior School in some subjects. GCSE and A-level courses follow UK specifications and a full-time Exams Officer is employed to do all entry, administration and follow-up work. Since September 2008, we have offered a dual pathway at St Christopher’s. Students can choose to follow either the International Baccalaureate Diploma Programme or an AS/A2 Level Programme. The IB Diploma Programme is a broad, balanced and rigorous programme, incorporating the best elements of pre-university systems worldwide. Assessments undertaken currently include National Curriculum Tests at the end of KS1 and KS2. GCSE, A-levels and IB Diploma. Also used are Aspects and PIPS assessments; NFER tests; Rising Stars maths; MIDYIS; INCAS; Yellis, INSIGHT and ALIS assessments from the CEM Centre at the University of Durham, World Class Arena Tests and UK Maths Challenge. All pupils have the opportunity to be involved in performances and in school productions. The School offers the Duke of Edinburgh’s Award. The School has strong links with, and provides a venue for, local Cub, Scout, Rainbow and Brownie Guide groups. From Year 2, pupils are able to receive instrumental tuition and are able to sit British music exams e.g. Associated Board of the Royal Schools of Music. The School is the Bahrain centre for ABRSM. LAMDA courses and examinations are offered from Year 2. St Christopher's School Sports and Arts Academy (SPARTA) enables participants to enjoy and learn in a variety of different ways on its ever developing activities programme. St Christopher’s three Schools are under the Principalship of Simon Watson who coordinates and links the work of the Headteachers of each school who are in turn responsible for their daily administration. The Principal, Heads and School Business Manager meet weekly; this group is called the Leadership and Management Team (LMT). This is the central coordinating team for the whole School. The Infant, Junior and Senior schools also have their own Senior Management Teams (SMTs). The Senior School currently has the Head plus one Deputy Head and four Assistant Heads, and the Junior and Infant SMTs each consist of the Head and two Assistant Heads. Assistant Head positions are seen very much as preparation for Headship. 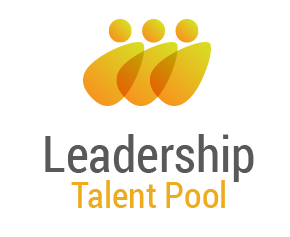 Accordingly, each of these has a clearly defined portfolio of responsibilities that will rotate as the years pass. In recent years, two Junior School Assistant Heads have gone on to good overseas headships and a Senior School Assistant Head went on to take up a Headship in Europe. Prior to arrival in Bahrain, each newly appointed member of staff is sent a detailed email offering advice on such matters as what to wear, what to bring with them etc. They are also paired up with an existing member of staff to be their ‘buddy’. They will initiate email contact and offer advice as and when needed. Many have even assisted with such matters as finding a helper/nanny for those families with children, car purchases etc. These buddies also offer assistance after their arrival. Your flight to Bahrain will be booked for you from London Heathrow or from the nearest major airport to your home by prior arrangement. For the next academic year, all new staff will arrive in Bahrain on Tuesday 20th August 2019. The majority of new staff travel on the same flight together from the UK to Bahrain so keep an eye (ear?) out for them. We will meet you at the airport and transfer you, your family and your baggage to your new home. You will find that some basic foodstuffs have been supplied so that you can make breakfast on your first morning in Bahrain. Over the course of the first few days, there are several functions arranged, including a reception at the Principal’s residence, a social evening at one of the expatriate clubs and an orientation tour of the island. Questionnaires are sent to all new staff after their first week or so asking for feedback on the induction process to ensure the process is refined each year. The School scheme covers teachers’ health bills, where approved by our medical insurers, for treatment at good private hospitals, such as The American Mission, BAPCO’s Awali Hospital, the Bahrain Defence Force’s Hospital. An excess applies to the scheme and staff members are expected to cover this. Please note, in common with other insurance schemes, pre-existing conditions, maternity, provision of spectacles, dentistry, hearing aids, etc. dangerous sports or other individual exclusions made by the insurance company may not be covered. However, in some cases, upgrades or additions to the policy provided by the school can be purchased at the teacher’s expense. In the event of serious medical problems, staff may elect to return to their home country for investigation and treatment. In some circumstances, medical insurance covers transportation to the UK for treatment. The insurance does not cover any UK accommodation costs or sundry items arising from travelling to the UK however. Medical facilities in Bahrain are very good and many expatriates would prefer treatment here than back in their home country. As a generalisation; if you needed to, you could see a GP today, a specialist in a couple of days and have an operation within a week or so! We hope of course that you will not need all these services; however it’s reassuring to know that they are readily available. At present there are no vaccinations required for entry into Bahrain for travellers from the UK. New residents are however required to undertake a Government medical examination for issue of their work permit. Inoculation against Hepatitis A, Hepatitis B and Meningococcal ACWY is recommended as per Bahrain Ministry of Health Immunisation Schedule recommendations. For further information you should go to www.moh.gov.bh or www.moh.gov.bh/en/healthinformation/Immunizations.aspx. Anti-malarial drugs are not required, whatever your doctor may tell you. If you are undergoing medical treatment and need to bring prescription drugs into Bahrain, be sure to bring a copy of your prescription with you. You will need a medical check prior to your departure for Bahrain, and a copy of the certificate must be provided to the Principal (at the School’s expense). There is a wide range of banks from which to choose: those most familiar to UK applicants will be HSBC, Standard Chartered and Citibank. In addition, there are many good Gulf-based banks. On your first full day in Bahrain, you will be invited to come to the Junior School where help will be given to you to open a bank account and banking staff will be invited to the premises. It will be very hot and humid when you first come to Bahrain if you are joining us for the start of an academic year. Climatically, it is the worst time of year and can only, therefore, get better! If you arrive at any other time of the year, say Christmas or Easter, the weather is cooler. The weather does become quite cold in winter (well we think so! 16ºC feels chilly after a few years in the sun). So, clothing appropriate to a British autumn would prove useful. Laundry and dry-cleaning services are available and reasonably priced. Sensible (i.e. modest) dress is suggested in public places in Bahrain, however women do not have to ‘cover up’. Generally it is considered respectable for ladies to have at least knee length hemlines and shoulders covered when in public places and a little extra consideration is appropriate during the Holy Month of Ramadan - the annual month of fasting for Muslims. My time at St Christopher's has come to an end but I shall cherish the memories in my heart forever. St Christopher's has had a huge impact on my life and not only through the education but through the teachers, staff and friends. When my Mother enrolled my Sister & I at the school, she told us that she wants us to work hard & achieve the best grades but she wouldn't be upset if we weren't A* students. I thought it was odd for her to say that however she told me that we were in this school for 'the experience' even though the great education played the most important role. 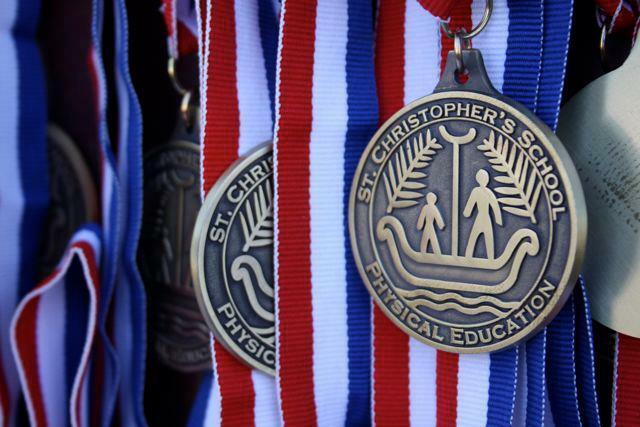 At first I didn't understand what my Mother meant by experience but as I approached the end of school I finally understood, St Christopher's did impact my life through the knowledge I gained but then again I was granted much more than what I was expecting. Through Community Service, I was able to carry out my passion of helping others in ways that I never knew existed. St Chris gave me the opportunity to learn about & help the less fortunate simply by making ribbons, packing uniforms, volunteering to raise awareness for human trafficking and giving toys to orphans. The image started to expand & I realised what my Mother meant was that I was not only learning through subjects but I was experiencing life itself and I learned about different cultures and traditions by just going to school from 8 to 2:40, five times a week. School was not only about the books and work but it opened my eyes & gave me the opportunity to expand my interests & make targets. I am proud to be a graduate of such a prestigious school which has given me a great foundation to continue my journey through life. No matter what I'm doing in a few years time, St Christopher's will be listed as a main contributor which has shaped my interests, goals & future. I would like to thank all the Staff & teachers at St Christopher's for supporting me, teaching me & for opening my eyes to the world out there. St Christopher's holds a special meaning to my family as my cousins have studied at the school and even my aunty (who is now a grandmother) attended Year One at St Chris & I am sure our connection with the school will remain forever. St Christopher's will always be close to my heart & I will always come back to visit. I will be starting Royal Holloway on Monday and I know the knowledge and memories I gained at St Chris will be with me throughout my journey at University & I'll always look back at school with a smile. When my wife and I decided to leave Bangkok Patana School after 12 happy years, it was a huge and potentially risky decision. We have three children of Primary School age who were all achieving well and very happy at Patana. Even though we knew that after such a long time in one place we were ready for a move, we still felt an enormous responsibility for our children’s happiness and education. Our ‘move’ therefore, had to be the right one and this meant that it was all about the quality of the school we would hopefully obtain jobs in. After extensive research of many schools all around the world, we kept coming back to St Christopher’s. It was clearly a superb school and like Patana, it was also British and most importantly, not-for-profit. We spoke to many colleagues and friends who teach internationally and the feedback we received about St Christopher’s was extremely positive regarding all aspects of the school. After meeting and being interviewed by the Principal and then later the Primary Heads, our feelings about St Christopher’s being the place for our family were further strengthened, largely because of the ‘learning, caring, communicating’ ethos which runs through the school. 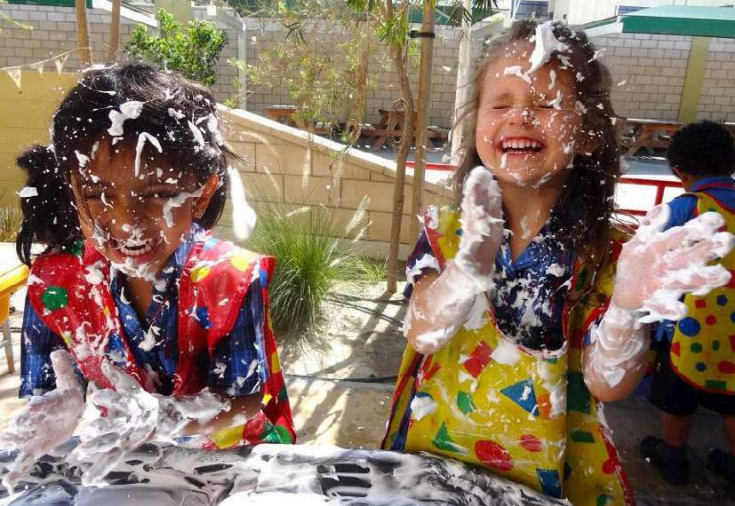 Fast-forwarding a few months and after successfully obtaining jobs at St Christopher’s, we have recently started teaching and living in Bahrain. From as far back as last winter, the communication and support we received from the magnificent HR team made us feel welcome, wanted and valued, long before we even set foot in the country. Everything was taken care of very efficiently and without fuss. From the contracts, flights and legal admin, right through to the welcome at the airport and the accommodation which has been provided, we have been overwhelmed with the service we have been afforded. At a very difficult and potentially stressful time, the load was lightened significantly. The school itself is open, warm and welcoming. The staff are friendly, considerate, hard-working and positive. The pace of life at school is fast and demanding but at the same time rewarding and satisfying. It feels like if you are prepared to join in and give it 100%, you will get the most out of it. You rarely hear anyone complaining. The students are well-mannered, committed, respectful and a pleasure to teach. The school is well resourced in many ways – from the specialist teachers in various subjects to the facilities to the day-to-day items needed to successfully teach a class. After a long time living (and loving) life in south-east Asia, many people told us that Bahrain would be a shock to us. This certainly helped us make the transition and compared to a city like Bangkok, of course Bahrain is quieter, less exciting and there is a lot less to do. However, there are things to do. You may have to look a bit deeper and plan a little more carefully but there is plenty here for couples and families. Good restaurants, shops, sports & beach clubs and other attractions are not far away. The local people are friendly and you feel safe and unthreatened, despite political issues. Most western products and amenities are easy to find. The driving is ‘interesting’ and you need to keep your wits about you but it is no worse than we have seen in England or Bangkok. Our children have settled incredibly quickly into school life, have made good friendships and are fully involved in after school activities and also clubs outside school. There is so much sport, music and art available you will struggle to do it all. Like anywhere, you need to get involved and make the most of it. The support network of your colleagues enables you to establish friendships and the clubs which many people join mean that there is always a friendly face nearby. Anyone who has taught internationally before will know about living in the ‘bubble’, and this is true in Bangkok, Bahrain or wherever, so you must be prepared for meeting and socialising with your colleagues outside of school. But this is a positive thing when you are so far from your family and friends back home. We know we made a good decision in coming to teach at St Christopher’s. So far, so good. 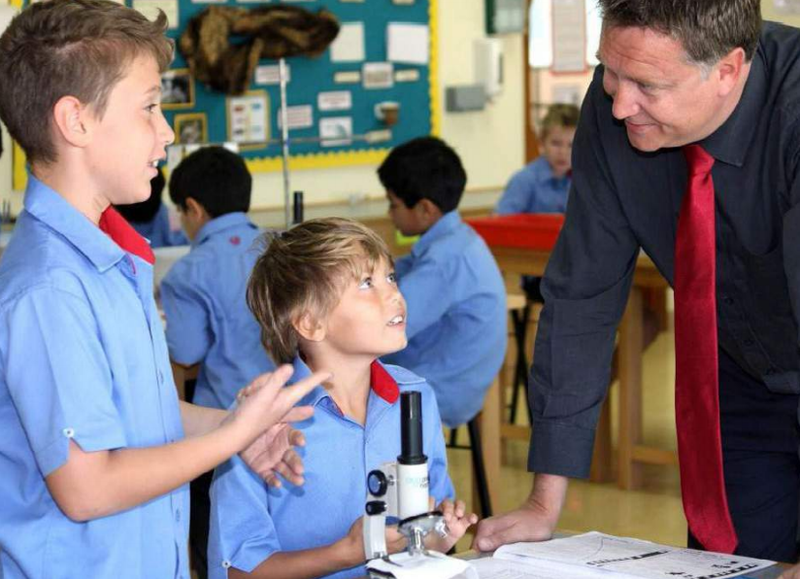 Working at St Christopher’s School in Bahrain is an exciting, challenging and ultimately very rewarding opportunity. We have worked in schools in England, Ireland and mainland Europe. We have worked for profit making schools and non-profit private schools. We have worked for state schools and independent schools and brought three children into this journey along the way and so this testimonial reflects not only our own professional opinions and experience, but also our adventures as teaching parents. When we first visited St Christopher’s, we were told that it is a great school for children. It is. That must be the ultimate criteria for a successful school – Is it great for the next generation of learners? Our children have thrived here in Bahrain. They are confident, happy and academically successful. (In fairness Molly is only three so I may be a little premature). The children we teach are a credit to themselves, their parents and Bahrain. They are the main reason why this school is such a great place to be employed. Another factor is the amazing resources and technological investment in the school; most of the educational resources come from the UK and the school provides excellent books, specialist tools and resources. The development and investment in IT has led to wireless Internet resources and IWBs that provide a genuine window to the outside world and through regular INSET and open forums a staff of confident and open minded users. The school has very ambitious aims for the children and the institution; children are expected, taught and helped to become autonomous global citizens who care about themselves, their friends and the world around them. “High expectations” is not just a phrase - it is a fundamental value of the Principal and the leadership teams. It is important that all of the members of the St Christopher family embrace these high expectations and share them as a common value. From a practical viewpoint, one of the biggest forms of support was the incomparable human resources department. The practical advice we have received from the time we were contemplating living in Bahrain to our recent move within the country has been nothing short of amazing. Healthcare, flights, removal firms, visas, paperwork and residency permits were all sorted efficiently and effectively. Having a hire car available on our first day and bank accounts set up ready for us was a completely new and pleasing benefit, as anyone who has tried to sort these things independently anywhere in the Middle-East can testify to! Living in Bahrain is great for families. Our children enjoy a myriad of opportunities: gymnastics, horse riding, swimming, football, rugby, cricket, tennis and kayaking are all enjoyed by the Clifton clan. Relaxed social clubs and grandiose five star hotels compete for our business. Dara saw One Direction in Dubai last year and Connor is looking forward to watching England play cricket in Abu Dhabi. As educators at St Christopher’s we have been exposed to some of the most recent educational concepts, challenges and developments. Expert, motivational speakers have shared the research and development of growth mind sets, evidence based teaching and the role of ICT as a transformational tool for the students in our care. This has helped us to continue to develop as teachers and people and provided us the tools, information and opportunity to challenge and question how and what we teach. The school provide Professional Development opportunities that British state schools would envy and have supported us in our own individual development, not only financially, but also personally and professionally. Molly, Dara and Connor span the Infant, Junior and Senior Schools. Their happiness and development is our biggest concern and the biggest testimonial we can give is that there is no other school we have seen or heard about, which we would prefer to nurture our children. I started at St Christopher’s having already taught in two other international schools. I’m now in my eighth year and am very happy here. Upon arriving in Bahrain, I was both excited and apprehensive at working for such a renowned school in the Middle East. However, I found the teachers very supportive and always willing to help in any way. The St Christopher’s induction program is excellent and made relocation a smooth and painless process. Bahrain is a great place to live! Expectations at St Christopher’s are high and the old adage, ‘work hard, play hard’ never more apt. No matter how busy the week has been, I am still able to find new places to eat and drink to unwind with friends at the weekends. Living in the Middle East, the sun is always shining and the opportunities for travel are immense. The package that St Christopher’s offers enables me to make the most of the holidays, having explored various countries over the years. As a PE teacher, I continue to be amazed at the sports facilities available for the primary school. We are so lucky to have such great learning environments that include large Astro turf areas, an indoor pool, a large sports hall and two other halls available. Our sports areas all have Apple TV hooked up to a large screen, enabling us to use our iPads effectively in aiding the learning process. The children are confident and enthusiastic, making it an enjoyable and rewarding place to teach. Bahrain may seem like a small place, but there are numerous opportunities to expand and develop professionally. St Christopher’s regularly invites leading speakers to conduct inset, allowing us to embrace new and creative learning strategies. Working alongside enthusiastic and experienced professionals, I feel I continue to expand my knowledge, helping me to become a better practitioner. I enjoy my life in Bahrain and would thoroughly recommend it to anybody thinking of moving here and working at St Christopher’s School. St Christopher's is a highly rewarding and supportive school. The classroom experience is exceptional and there is a very strong ethos for learning. 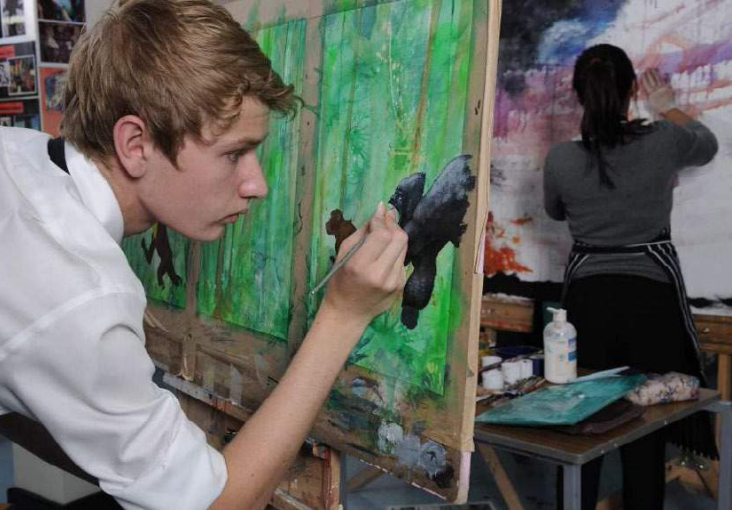 Students genuinely want to learn, to progress and engage in your subject. They are courteous, appreciative and caring towards each other and staff. Departments and classrooms are very well resourced and we are able to up-date resources to respond to curriculum changes with immediacy. We both feel immensely fulfilled teaching here and the classroom, where we spend the majority of our time, is our haven. The positive learning environment at St Christopher's allows for fantastic opportunities to innovate and explore creative approaches to teaching and staff training supports this innovation. INSET and Department meetings allow staff to share best practice and develop teaching strategies in-line with current thinking in educational theory. Opportunities for CPD are excellent and we receive inspiring, pragmatic training in evidence-based teaching; this year, training foci were growth mindset, challenge in the classroom and the use of technology to enhance teaching and learning. We have both progressed to Head of Department positions since joining St Christopher's. Our SMT line-managers have been very supportive and provided constructive, helpful guidance to support our professional development as managers. We now feel very settled and established at St Christopher's and in Bahrain having arrived here five years ago with our young family. The challenges of relocation to Bahrain from Britain were eased significantly by the support and guidance from human resources. We settled very quickly with the help and guidance of HR, existing staff and the buddying programme. Our daughters are fortunate to attend St Christopher's and they have thrived here, enjoying superb teaching, a wide range of extra-curricular activities and close friendships. The school community is close, supportive and caring. We have many friends within school and we have a wonderful social life. Being able to sit with friends by the poolside on a Thursday, while our children play together, is fabulous relaxation and something we never experienced in Britain. 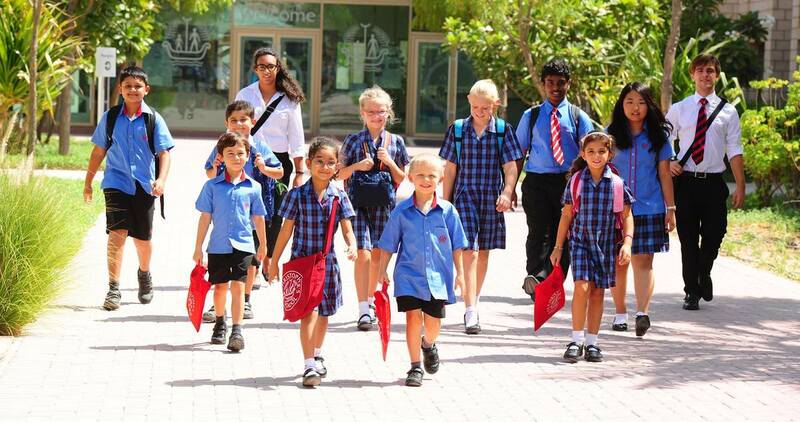 Overall, we are very happy living and working in Bahrain and feel privileged to teach at St Christopher's. We arrived in Bahrain as a teaching couple in August 2014 and settled into Island life very quickly indeed. 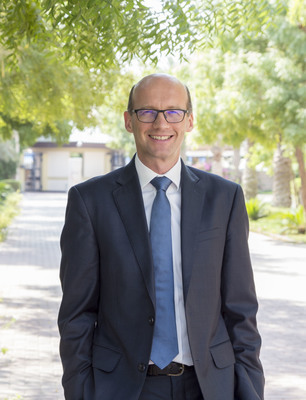 St Christopher’s is a supportive, organised and innovative establishment, well deserving of its reputation as one of the top schools in the Middle East and beyond. High expectations are a key feature of life at St Christopher’s. The students thrive when challenged and are eager to embrace a wide variety of learning and teaching techniques. New approaches in the classroom are actively encouraged and very well received. Both the Primary and the Senior Schools are well equipped with interactive whiteboards installed in every classroom and a new initiative is currently being rolled out, with the provision iPads for all teachers (and students from 2016) to use as part of their pedagogical practice. The school offers extensive support to expatriate staff before, during and after the process of relocation. From the moment we accepted the positions, we were given helpful advice and practical support ranging from pictures of our new accommodation, to the selection of cars that would be available for hire. Having worked in an international setting previously, we can vouch that the package of assistance offered is second to none. Every detail is covered and the induction schedule fully prepares you for life at St Christopher’s as well as life in Bahrain. St Christopher’s offers an extensive CPD programme, encouraging staff to take active ownership of their own development by offering teachers the opportunity to apply for courses tailored to their own needs. Alongside this, outside speakers and world class educators are invited to deliver CPD to all staff. Having worked at the school for one academic year, the opportunity to apply for Head of History arose resulting in a promotion for Patrick (and a busy year ahead!). St Christopher’s highly values the work undertaken by its staff and encourages staff to apply for positions that will benefit their professional development and progress their careers. Bahrain is a small island and as such there is an excellent social community and all activities are easily accessible. As well as working hard in our new roles, we have also found ample time to participate in our hobbies such as sporting activities, taking part in events such as aquathlons and recently, trying out paddle boarding for the first time. There are several expatriates clubs dotted around the island and we are regular visitors to the British Club which offers dining options, leisure facilities and organised events. Bahrain is also not short of restaurants and we have thoroughly enjoyed trying out new cuisines from around the globe and our list of venues to try never seems to get shorter! The Middle East is a fantastic gateway to the rest of the world. We spent the summer in Vietnam and Sri Lanka and are often popping away for the weekend. We have both accompanied school trips to various destinations such as Malaysia for the World Scholars’ Cup, Cyprus for Duke of Edinburgh and France and Belgium for a History trip. These opportunities are open to all staff and are a truly great experience. St Christopher’s offers the full package in terms of a professional and progressive working environment as well as great accommodation and lifestyle. St Chris is a school which values hard work, whilst also maintaining that sense of fun. It's very clear that everything we do is for our students, and they are some of the most polite that I've ever met. The school demands a lot of everyone, from the support staff to students, teachers to management; everyone gets involved and does more than their bit - it's a school that lives and breathes community service. Personally, the school has enabled me to become a better manager, practitioner and has helped me become more involved in charity and extra-curricular activities that I could never have thought possible in the UK. And what's more, the staff never rest on their laurels. We want to be the best at what we do and that comes across in the day to day interactions. I was quite nervous about relocating, not only to a new school but also a new way of life. Luckily, the HR team made the transition seamless and the buddy system really helps you find your feet. You're immediately part of an extended St Chris family, and that means there's also people visiting and chance for celebration. The staff and the students, as in all great schools, are the 'real' resources, yet St Chris is eager to improve and is open to suggestions about new resources and new uses for existing resources. Each classroom is fully equipped with interactive whiteboard and PC, with staff iPads available. This has already started to transform the immediacy of our interactions with parents and students. At St Chris, retention of staff is high, so although there may not always be an obvious promotion to go for, there is always room to show your mettle and carve out your own path. In my first year, I moonlighted as a drama teacher, before being given the opportunity to help support the English department as 2ic, a role I had enjoyed in the UK. Here, the role of 2ic really prepares you for the demands being HoD can have. The school has also been fundamental in my recent completion of an MA in Education. St Chris wants teachers who want to explore their pedagogy and practice in more depth. They seem to understand that the best teachers are still students themselves! Alongside academic life, the extracurricular activities also provide opportunities to develop into a more rounded teacher. Through this I have been able to move towards qualification for yoga teaching, helped to run community service initiatives and learned how to mix cement! Much of the CPD offered comes from in house opportunities. However, I know from previous experience that if a CPD opportunity is available and will have a direct impact on teaching, then the school will endeavour to support you in attending training. The school is also proactive in bringing experts into the school to help model best practice and provide useful refreshers! Bahrain is what you make it. This is the one piece of advice I give to new staff when I meet them. If you're prepared to go out and find your fun, then there is lots of fun to be had. Horse riding, sailing, a lively underground music and arts scene...there is something for most people here! One thing I've also learned is how friendly everyone is, whether expatriate or local it feels like one big town that's on the verge of becoming something incredibly special. Accepting a job teaching at St Christopher’s can be something of a step in to the unknown. For me, it involved moving abroad for the first time and so had the potential to be something of a daunting experience. Fortunately, the welcome and provision from the HR team made the actual process of re-location stress-free. Accommodation, flights, freight and visas were all explained clearly and the school even gave pictures of the flat that they would be providing! This left me with the impression that, had I wanted to, I could have just arrived at Heathrow with a bag of clothes and all the other necessities would be taken care of. Arriving to a fridge stocked with some of the necessities was just one of the many touches that made the re-location a fun adventure. Day to day life in Bahrain has also been surprisingly easy to adapt to. I had expected some culture shock, but the sheer volume of expats living here means that all home comforts are available in the supermarket, if at a slightly inflated price. English is also the lingua franca so having very little grasp of Arabic doesn’t hold you back from enjoying what Bahrain has to offer. The roads can be a little chaotic, but that seems a small price to pay for being able to recline next to a swimming pool of a weekend, with a cold drink in the balmy October sunshine! Departments are well-resourced both in the traditional sense with the newest textbooks, helpful inset and training sessions; but the provision of iPads to all the teachers shows that St Christopher’s is innovative in the way it resources its teachers . However, the best thing about working at St Christopher’s so far has doubtless been the pupils. Their near faultless engagement and willingness to learn new things make lessons fly by. Beginning your day knowing that you will teach classes full of pupils eager to learn and impress with their abilities certainly helps with the early mornings. St Christopher’s School is committed to safeguarding and promoting the welfare of children and young people in our care. We follow safe recruitment practices and appointments are subject to vetting including reference checks, identity and criminal record checks. Further details can be found in our Safeguarding Children and Safer Working Practice Policy.